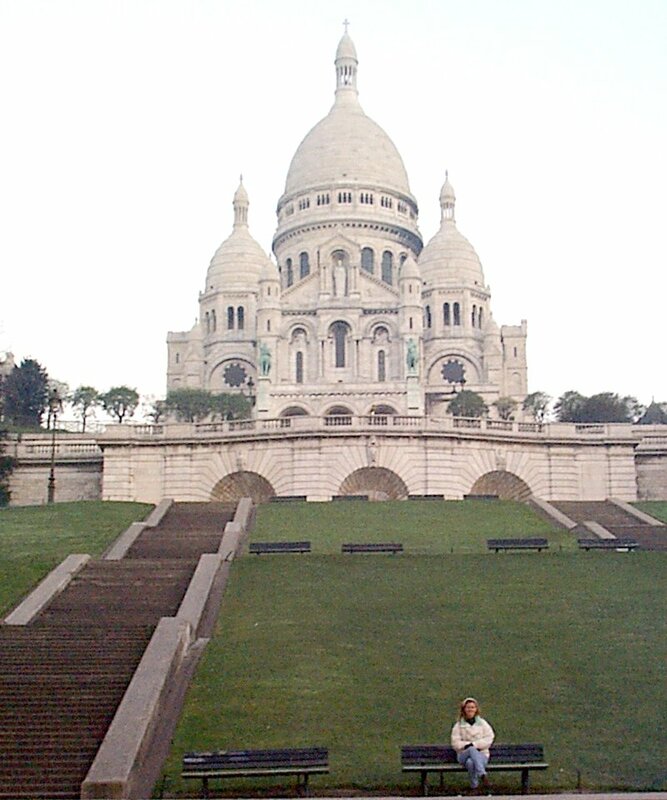 This is a brief web to contain some of the snapshots that We took on a one week excursion to Paris in November of 1998. The last update to this site was 5/20/1999. Jet lag is the bane of intercontinental travelers. But when you find yourself wide awake in the early hours of the morning, you might as well go out and take a picture of the sunrise. 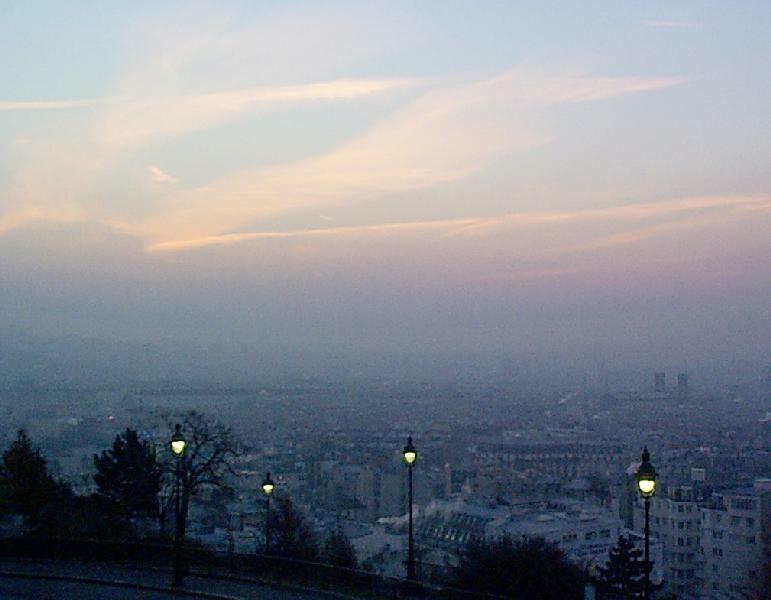 Parisians, who think nothing of partying 'till dawn, have a term for the hour before sunrise: "L'heure bleue", the blue hour. 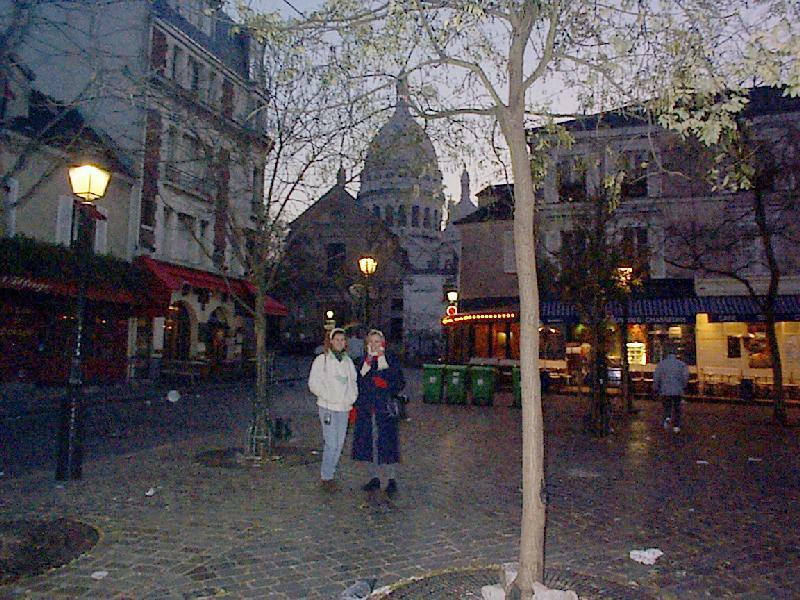 Paris in November has drawbacks: it's cold! 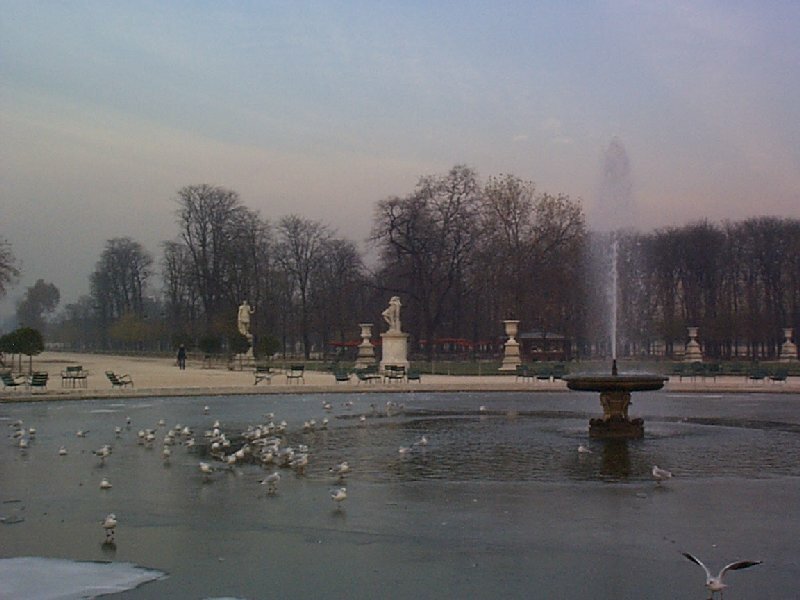 The fountains in the Tuileries gardens were going, even though frozen over. 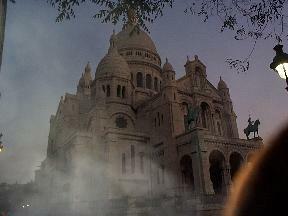 Paris in November has advantages: "Look, ma, no tourists!" Hold your breath so you don't get a picture of fog. Keep the mitten away from in front of the lens.